Celebrate in style with the Aria Velvet Dress. 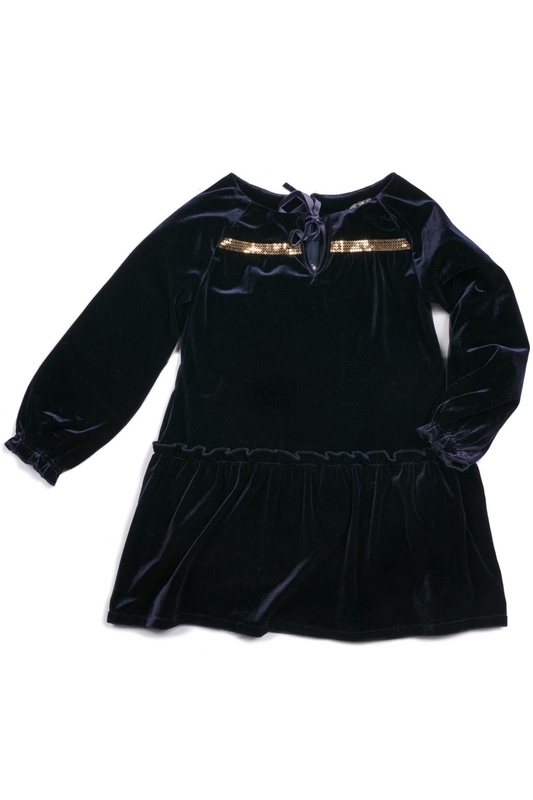 This rich, navy velvet dress features a front tie closure, gold sequin detail and subtle pleating drop-waist. Zips up the back. Fiber Content: 90% Polyester 10% Spandex.